Ball State Football’s Getting a Jumbotron! And Black Uniforms. 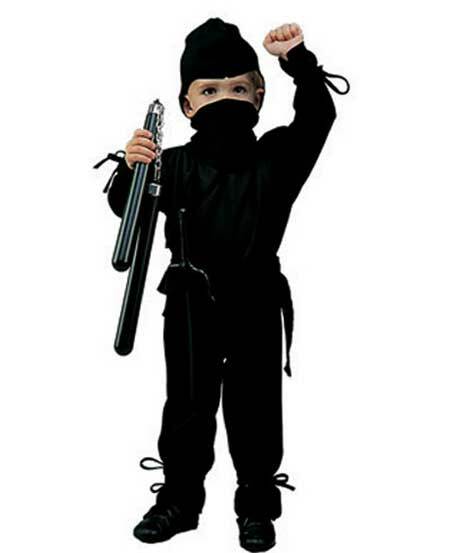 I recommend you have your children take the black out to the extreme. Remember all the bemoaning fans have done about BSU not having a jumbotron video board at home games? Hell, Edge and I have had more than our fair share to say about it as well. If I recall, both of us even offered to wheel our flat screens out to the corner of one of the endzones if need be. It wouldn’t necessarily be a jumbotron, perhaps just a tron, but it’s the thought that counts. In that same podcast, I was able to share some information sent to me by BSU athletics staff about something “unprecedented” (their words, not mine) happening for the home finale against Ohio. BSU athletics made an official announcement today that addresses both those issues. The Cards will be in possession of a videoboard for the home finale, one fan’s going to win a car, it’s a black out game, and the Cards will be rocking their much talked about black uniforms. What say you, Ball State? Ball State athletics has secured a video board for its final home football game of the season Wed., Nov. 14, at 8 p.m. vs. Ohio, and one lucky fan will receive a car courtesy of Stoops Automotive Group in Muncie. The video board was made possible through corporate sponsors MutualBank, Tom Raper RVs and The Grove, while the Grand Prize giveaway is courtesy of Stoops Automotive Group. In addition, the Ball State game vs. the Bobcats will be a “Black Out”. All fans are encouraged to wear black, and the football team will showcase black jerseys for the first time in school history. Ball State athletics will be giving out glowsticks to the fans. Among the numerous game promotions for the contest, one fan is guaranteed to win a new GMC Terrain from Stoops Buick GMC on the night of the game. The winner will receive a two-year lease on the 2013 vehicle and must be in attendance to win. The game will also be Senior Night, Employee Appreciation Night and Military Appreciation Night. Ball State will honor the senior members of the 2012 football team prior to the game. All Ball State employees can purchase general admission tickets at the reduced rate of $7 up to a maximum of four tickets per employee. The first 20 employees who call and order four tickets can have two kids participate in the fan tunnel before the game. Anyone presenting a military identification card to the ticket office can receive one free ticket to the game. Ball State’s Student Government Association and Cardinal Wings have teamed up to present a t-shirt exchange. When someone turns in a t-shirt from another university or a high school at the Scramble Light on the Ball State campus Nov. 12 from 11 a.m. to 1 p.m. they will receive a black Ball State t-shirt in return for the “Black Out” game. All donated shirts will be given to the Muncie Mission. The new guard will see this as the greatest thing since buttered bread and the solution to the age old problem of BSU not being a consistent MAC champion with 23,000 fans at every home game. To them, I would say, “Slow down.” It’s a start, and a good one, and further testament to the Lembo administration’s ability to reach out to the community to be an active and engaged participant in Cardinal athletics. But let’s not cream all over the Jumbotron before we see it naked. Or get it permanently. Feel free to use whichever of those statements you’d like. The Ohio game is a critical one for a whole host of reasons, not the least of which is it may very well be an outcome that can either propel the Cards to a bowl game or mean they get left home for the holidays. There’s also a slim possibility of the Cards winning the MAC West, but that includes the Cards winning out and getting some help from the likes of UMass. However, it is a possibility. For now, let’s just bask in the awesomeness that is a videoboard coming to Scheumann Stadium and let’s hope it’s the first step to making it a permanent fixture.